Dr. Hauschka Regenerating Neck Cream Review: Is It Really Effective? Dr. Hauschka Regenerating Neck and Décolleté Cream is marketed as a rich, creamy, anti-aging solution for those with mature skin. 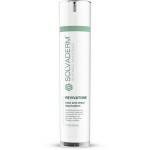 This anti-aging treatment supports skin renewal and improved skin elasticity. Many women don’t realize until it’s a bit too late that the heck and chest area can show just as many signs of aging as the face. 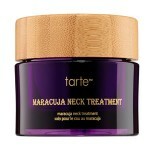 Over time, skin loses its elasticity and firmness and lines can begin to form down the neck and the décolleté. Dr. Hauschka has created a unique formula called the Regenerating Neck and Décolleté Cream to treat these exact problems. This anti-aging treatment for the neck and chest is made up of natural ingredients to provide you with noticeable results, minus the irritation. With continued use, you’ll notice your skin looks more revitalized, smooth, and elasticity has improved overall. For best results, apply Dr. Hauschka Regenerating Neck and Décolleté Cream to your cleansed neck and chest during your evening skincare routine. Dr. Hauschka is so confident that this product will hydrate your skin; it is recommended that you do not follow up with a moisturizer. 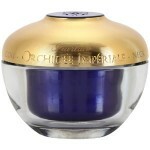 Dr. Hauschka Regenerating Neck and Décolleté Cream retails for $65.00 per 1.3 oz. of product on the Dr. Hauschka website and several other lesser-known skincare retailer sites. Essential Fatty Acids, Antioxidants, Coconut, Argan, Jojoba, Sesame, Sweet Almond, Macadamia, and Sunflower Oils: These ingredients all work together to hydrate, soften, and smooth the neck and chest area. This anti-aging product contains natural ingredients, which hydrates the skin. This product makes skin look firmer and more revitalized. Customers claim this product reverses the look of neck lines without causing irritation. This anti-aging treatment contains fragrant ingredients, which may cause irritation over time. There’s nothing unique about this product that makes it suitable for the neck and chest area. Dr. Hauschka Regenerating Neck and Décolleté Cream claims that it can gently, yet effectively, reverse obvious signs of aging around the neck and chest area. Although this may sound like the perfect addition to your anti-aging skincare routine, there are several issues you should consider. This product contains fragrant ingredients, which may cause irritation for those with sensitive skin. Additionally, there are very few differences between this product and a typical face or eye cream. Most of these products provide you with the same results and formulas typically do not differ enough to justify purchasing a completely separate item for the neck and chest. 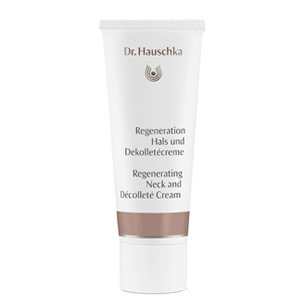 Dr. Hauschka Regenerating Neck and Décolleté Cream is available on its own website. The return policy is quite reasonable. If you are unhappy with the product for any reason, you may return it within 45 days of purchase.